Iran Customs regulations follow an export and import regulations and a customs law. In addition to these two laws, the Civil law and the Common Law in Iran are also the main rules governing the import and export trade of goods. The export and import regulations are adopted regularly by the Cabinet of Ministers. This is usually approved by the proposal of the Ministry of Mining and Trade in Iran in accordance with Article 138 of the Constitution of the Islamic Republic of Iran. According to the latest Iranian Export and Import Regulations, which were to be submitted in early April of each year for use by Iranian customs and merchants, more than 1242 rows of tariffs were approved by the Office of the Government for removal, creation and modification. This law changes every year by eliminating, creating and modifying Iran tariff lines that were discussed during the previous year. According to the request of the government and related organizations, the Iran import duties increases or decreases is in order to protect the interests of domestic producers and restore the rights of domestic consumers. In some cases it is in the interest of domestic producers and sometimes in the interest of domestic consumers. Once these changes are in the interest of the consumer, that import duties are lowered and the domestic consumer will pay a lower price for a commodity. And when changes are in the interest of the domestic producer, that due to increased Iran tariffs and Iran import duties, the local goods will face a less competitive environment. In Iran, the government annually adds rules that go beyond the export and import rules. For instant, they divided goods into ten different groups and each group has certain conditions. For example, goods in the 10th group in Iran are low priority goods and their commercial profits are twice. Commercial profits are a major part of the goods that are not considered high priority by the government as their consumption, and their high commercial profits will double. Sometimes importing some goods to Iran is forbidden, such as motor vehicles with an engine volume of over 2500 cc. 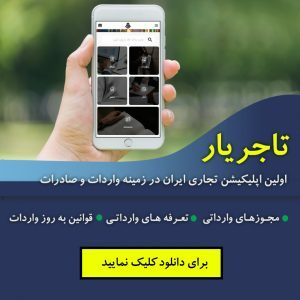 Iran customs regulations and Iran exports and imports law must be available from April for merchants and customs every year, but due to the delays that are always happening, the new rules will generally available from June and July. In Iranian customs regulations, there are also annexes, that shows preferential tariffs between Iran and some countries that currently consist of nine countries in total, including preferences between Iran and Turkey, Iran and Syria, Iran and Cuba, Iran and Uzbekistan, Iran and Tunisia, Iran and Bosnia, Iran and Belarus, Iran and Afghanistan. These regulations refer to export and import regulation, but the most important law that extends over Iran customs tariff is the State Customs Law. It has the executive code on this issue in addition to the law. Customs law approved by Islamic consultative and the executive ordinance of customs law that has been approved by custom of ministers. The law itself is adopted on 13/11/2011 and its regulation is approved on 24/02/2013. 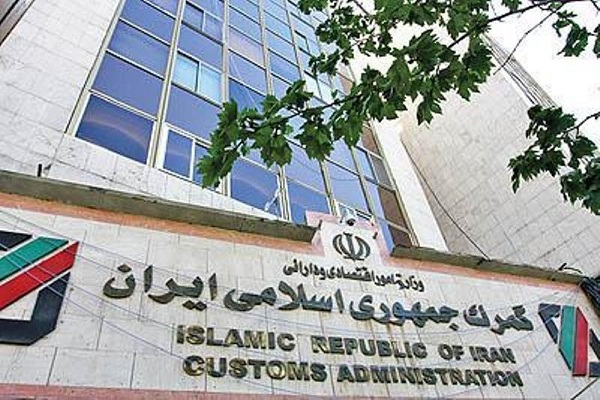 Iranian customs regulations consists 13 sections. The first section, defines the organization and general rules. The second section is about goods valuation and defined rules of origin in Iran. The third section is talking about the procedure before declaring the goods. The section four is about goods storage at Iran customs offices which includes customs warehouses and the responsibility of storing goods in them, special warehouses and public refrigerators of the Iranian customs. Section five is about Abandoned Goods, seized Goods and Transfer of Goods to Customs. Section six is about General Terms and Conditions of Iranian Customs Clearance. Section seven contains Iran Customs Procedures, which include imported goods, exported goods and other procedures. Section eight is about offenses and smuggling. Section nine is about exemptions and prohibitions. Section 10 is about Iranian Customs brokers and its duties and responsibilities in customs. Section 11 is about Post-clearance review and follow-up measures that include the total amount of deductions received and post-clearance audits. Section 12 is about Iranian Custom Clearance Authorities. Section 13 introduces other exclusions to be considered in the Customs Code. The executive code of the Iranian Customs Law, which has been approved by the Cabinet each year, consists of 13 sections. And since the executive code is the same, its headings are equal and only its implementation is discussed. This customs law will be enforced until the next law is passed but Export and import regulations are valid on an annual basis. Based on Iran customs regulations , Iran import duty is five percent and Iran VAT is nine percent which is at least 14%. However, some goods are exempted from payment of VAT for importing to Iran. For example, certain goods and machinery for the construction of factories and certain goods which have high priority for the government, their import taxes and duties include customs exemptions. Another important issue is the way that importing companies or merchandise chooses to pay foreign currency and money from Iran banks for importing to Iran. The money that Iranian government allocates to transfer and buy currency is cheaper than the market currency. Foreign currency traded through government, reduces business costs between 10% and 20%. The goods that are considered by the government as high or low priority goods, will not follow a particular logic. Sometimes the Iranian ministry of industry and mining may introduce some goods with high priority and the government allocates the currency to them and after a while they cancel them. And this complexity is very high and must be confirmed at the moment. These series of Iran customs laws and the 3,000 circulars is issued by Iranian customs every year. The complexity of importing to Iran makes lots of businesses around the world to get help from Iranian Customs consultants and Iranian Customs Clearance Professionals. And fortunately this knowledge is available in Kara trade center. 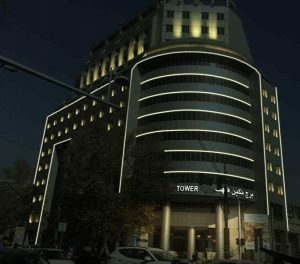 Traders can receive information and advises from Kara trade center about their goods specifications, Iran import duties, Iran customs exemptions, the use of governance currency and the non-use of governance currency and determining the conditions of export of goods to Iran and they will find out Iran taxes and Iran import duties on their goods. All these complexities will be presented by our Iranian business consultants in a report and will give them an awareness of the Iranian market. In addition to discussing Iran customs laws and Iran customs regulations, our consultants conduct market research in Iran for various goods in terms of competition and market size, and the ability of buyers in the Iranian market, and familiarize businessmen and international companies around the world with this highly attractive and lucrative market.